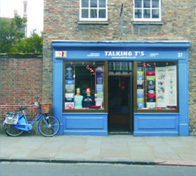 These conditions govern all contracts of the sale of goods and services between Talking Ts Ltd or Talking T’s of Cambridge Ltd (hereinafter referred to as ‘the Company’ and any Customer (hereinafter referred to as ‘the Customer’) of the goods and/or services. These terms can only be varied with the written consent of the Company. All orders for the supply of goods placed by the Purchaser with Company are irrevocable unless otherwise expressly stated in writing. A confirmed order may only be cancelled or varied with the Company’s written consent. Such consent shall not in any way prejudice the Company’s right to recover from the Customer full compensation (including profit) for any loss or expense arising from such cancellation or variation of the original order. The Company will use its best endeavours to deliver the goods on the estimated date for delivery, but does not guarantee to do so. The Company shall, under no circumstances whatsoever, be liable to the Customer for any loss, damage or expenses, whether caused directly or indirectly, by or from any delay in the delivery of the goods. The Company will deliver as near as possible to the Customer’s premises as access allows. Where delivery is to be made by an independent carrier, delivery to or pickup by the carrier will be deemed as being delivery to the Customer. Delivery at the Customers own premises or those of a nominated agent will be charged extra to the Customer. Claims for shortages or non-delivery must be supported by the carriers consignment or delivery note on which the goods have been signed and checked at the time of delivery. All claims for shortages or non-delivery must be made by telephone within 3 working days and in writing within 5 working days. Any loss or damage by the Customer after delivery is the sole responsibility of the Customer. 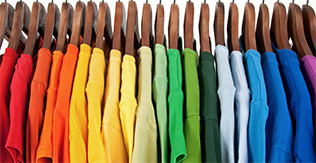 c. Inks used during the textile printing process will inevitably fade over time. The speed at which they fade will be dependent on many factors including washing temperature, number of washes, exposure to sunlight etc. Therefore The Company cannot be held responsible for fading ink colour/s during use. If you require us to match your colours to the Pantone matching system then you must give us the codes otherwise we will take them from the profiles in your document which are sometimes inaccurate. The Company is not liable for colour mismatches if the customer has been unable to supply Pantone numbers. All garments supplied by the Company have undergone rigorous testing for their stability throughout the process of screen-printing, embroidery, thermal printing and vinyl decoration as well as their overall quality. 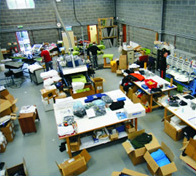 All garments supplied by the Company are guaranteed to be processed successfully without damage. The Company cannot be held responsible for damage or loss which occurs to garments which have been supplied by the customer. Examples of damage may include, but not be limited to, the garments changing colour or shape due to heat, or damage caused by machinery malfunction. No payments may be withheld not may any counterclaims by the Customer be set-off against any payment due under this or any other contract. The Company shall have a general and particular lien on all money and property which the Customer owns or is entitled to possess which is in the possession of the Company or its agents which it may sell as the Customers agent to reduce the Customers debt to the company. The company reserves the right to refuse cancellations of confirmed orders placed by the Customer, and refuse acceptance of goods returned to the Company without permission. The Company does not trade on a ‘sale or return’ basis. All contracts between the Company and the Customers shall be governed by the laws of England and any disputes arising there from shall be the subject to the jurisdiction of the English courts. Talking Ts Ltd will automatically add you to the mailing list as someone who has expressed an interest in our products and who would like to receive regular updates. If you would like to unsubscribe from our mailing list please follow the link at the bottom of the newsletter when you receive it.